Many officers converge along a street in the Argay Terrace neighborhood of outer East Portland to arrest wanted suspects. A gunshot rang out during early evening hours of August 23 in the Argay Terrace neighborhood. Officers from the Portland Police Bureau (PPB) Gang Enforcement Team (GET) officers started looking more closely at these two-story duplex townhomes along NE Prescott Drive, just west of NE 130th Avenue – a few of them are owner-occupied; but they’re mostly rentals. 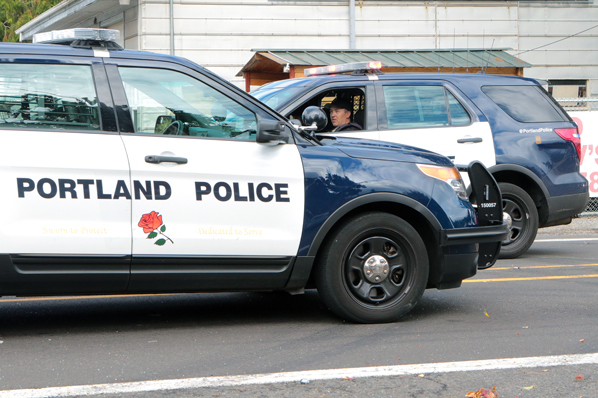 “At 6:47 p.m. that evening GET officers responded to the report of a fight and a single shot fired at this location, and located one fired bullet casing,” said PPB Public Information Officer Sergeant Chris Burley. More officers arrive, before arrests are made. “During that investigation, officers arrested one juvenile male after he ran from the backyard of the townhouse, and attempted to hide a handgun that was recovered, and seized as evidence,” Burley said. Based on GET investigations, officers believed two wanted parole-violators were at the townhouse where the commotion occurred, and returned on August 26 with arrest warrants in hand. Some officers “gear up” as the arrest team moves in. 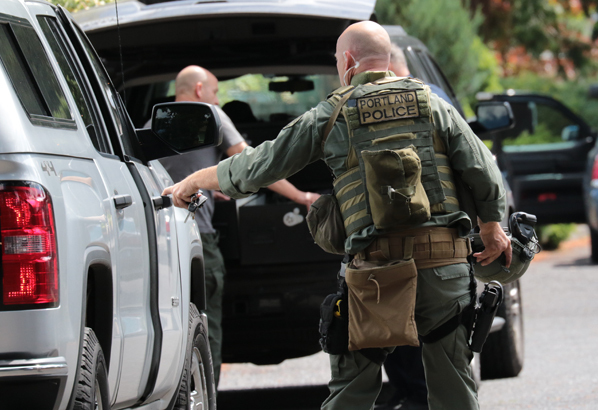 NE Prescott Drive was closed off for blocks in either direction as more officers were called to the area, including the Washington County Tactical Negotiation Team – but that team was cancelled after the suspects gave up and were arrested without incident, Burley said. 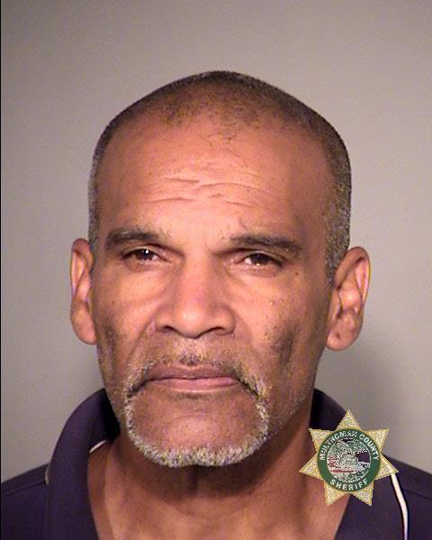 Arrested was 58-year-old James M. Siberz, who was booked into the Multnomah County Detention Center (MCDC) on August 26 at 10:08 p.m. for an Oregon State Parole Board warrant for a parole violation in connection with a previous Assault in the Second Degree conviction. Siberz was released back into the community by a judge on August 30; Release Reason: “Time Served on a Sentence”. 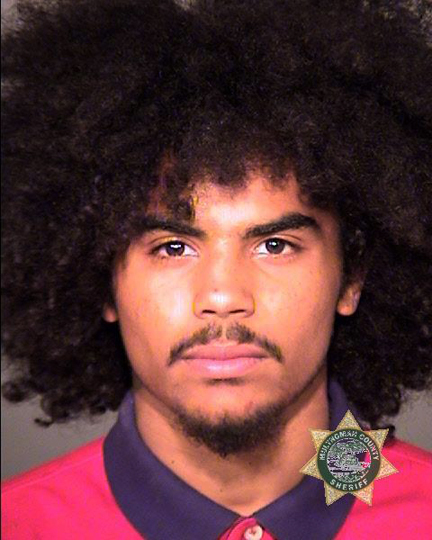 Also arrested was 19-year-old Dennis R. Spencer, who was booked into MCDC that evening, also logged in at 10:08 p.m., on an Oregon State Parole Board warrant in relation to his post-prison supervision for an earlier conviction of Assault in the Second Degree, and for an Oregon Youth Authority warrant.